1. 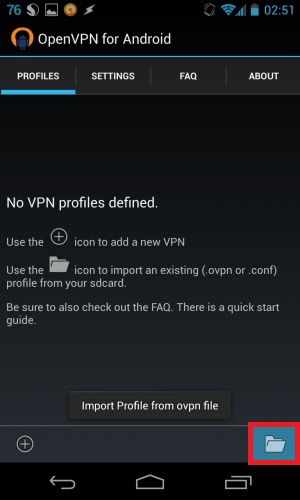 Download and install OpenVPN for Android by Arne Schwabe. 2. 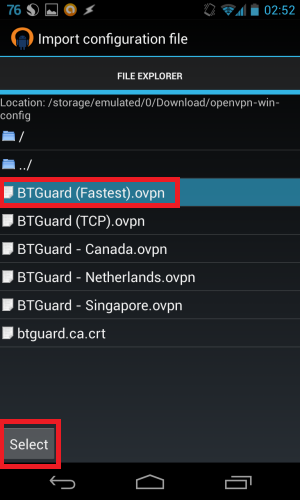 Open a browser on your Android device and Download the Configuration Files and unzip the files. ES File Explorer is a free file manager if you don't have a tool to unzip. 3. 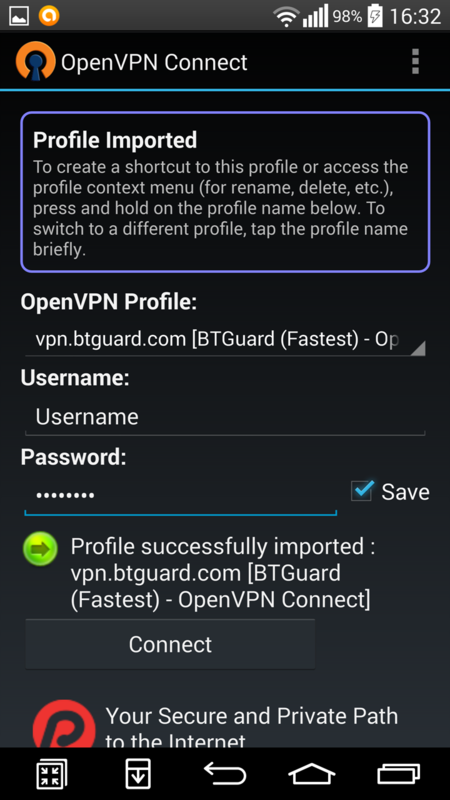 Open OpenVPN for Android and tap on the bottom right icon to import. 4. Browse to the folder where the configuration files are located. Tap on the server you wish to connect to and hit Select. 5. Tap on the Save icon in the bottom right corner. 6. Tap on the Settings icon. 8. Fill in your Username and Password. 9. 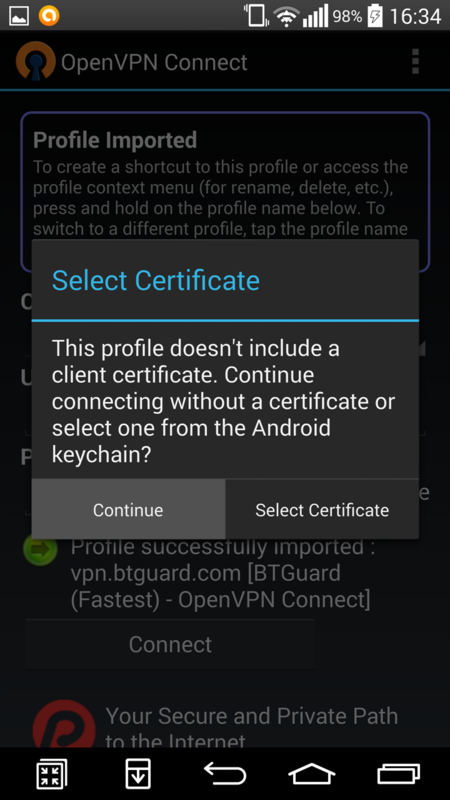 Tap on Select... next to CA certificate, then browse to the folder where the configuration files are located. 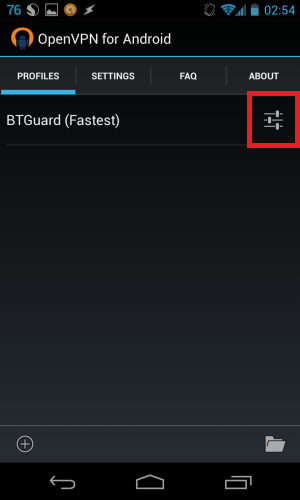 Tap on btguard.ca.crt and hit Select. 10. Hit the back button until you're back at the main page. 1. 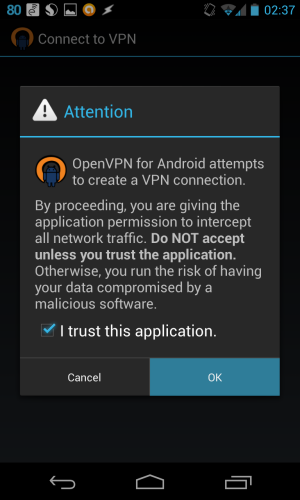 Open OpenVPN for Android and tap on the server you wish to connect to. 1. 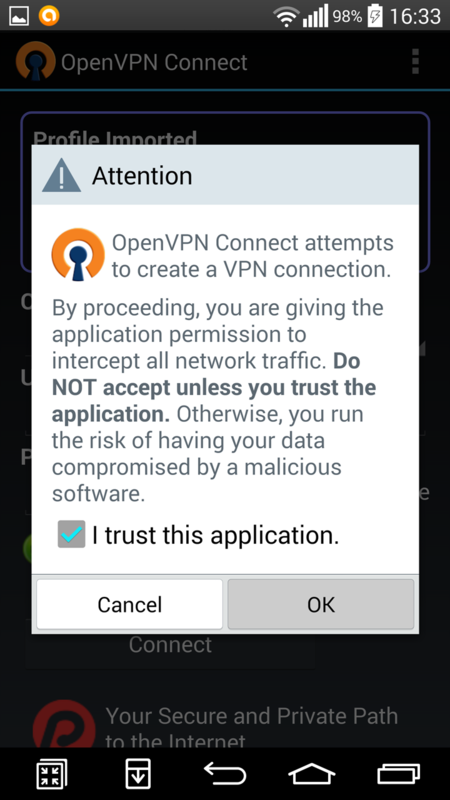 Download and install OpenVPN Connect. 2. Open a browser on your Android device and Download the Configuration Files (They are different then in Method 1) and unzip the files. 3. 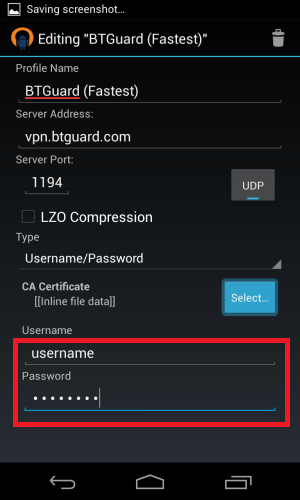 Open OpenVPN Connect and tap on the top right icon to import. 5. Browse to the folder where the configuration files are located. 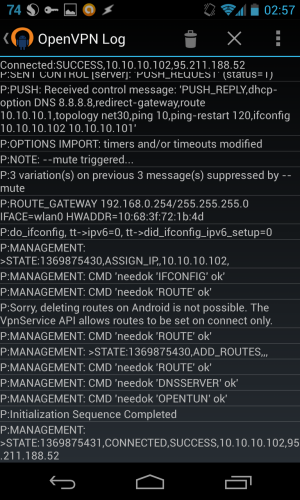 Tap on the server you wish to connect to and hit Select. 6. Fill in your Username and Password. 1. 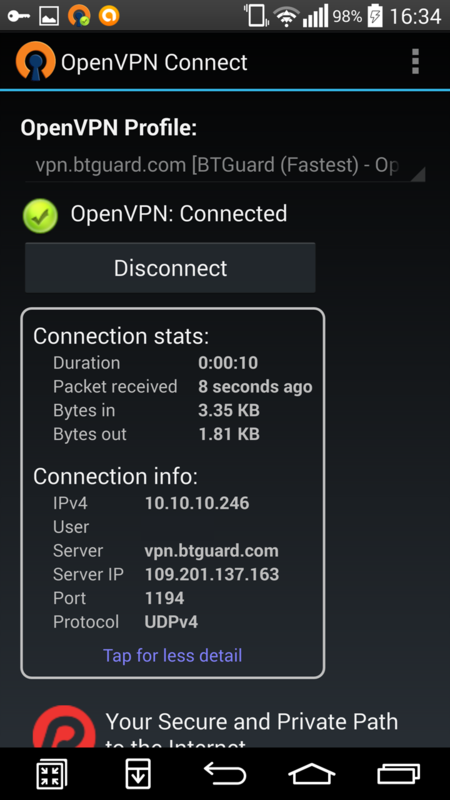 Open OpenVPN Connect and tap on Connect. This page was last modified on 25 November 2014, at 16:55.